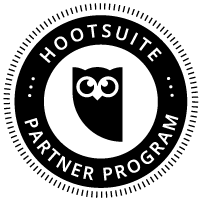 In our effort to offer our clients the best marketing tools, eSuiteOne is now a HootSuite (http:..
We’re introducing a simplified method to generate image thumbnails which will replace the exit.. Continuing the work started with the eSuiteOne eCommerce module (Catalogs and Products), eSuiteOne i..
eSuiteOne's eCommerce module (Products and Catalogs) have been upgraded so their URLs are now editab..
For countries such as Australia, UK, Denmark, Norway, Sweden and several other countries, where stor..
Key benefits: Speed - the new site search is exponentially faster. Where we used to measure .. Copyright © eSuiteOne 2009-2016. All Rights Reserved.